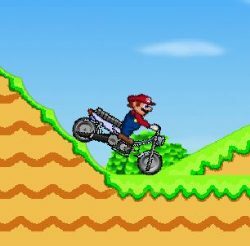 Take Mario through three levels in this fun dirt bike game. 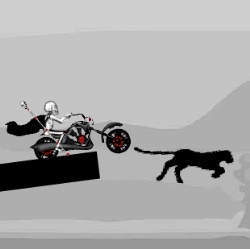 Collect the coins and pull off backward and forward flip stunts to earn points. Use the UP ARROW to accelerate and the DOWN ARROW to brake/reverse. 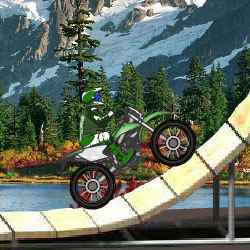 Lean backwards/forwards using the LEFT and RIGHT ARROW keys. 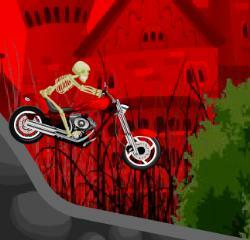 Click here to send Super Mario Moto to your friends using your default email program.